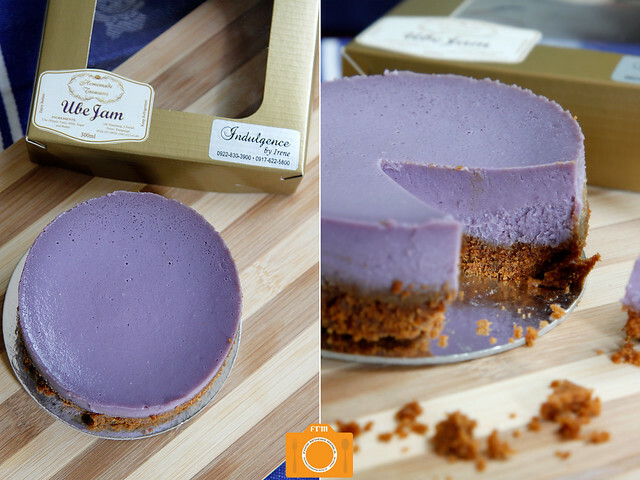 At KTG's Christmas party, I found a new cheesecake favorite -- Irene's Ube Cheesecake. It is a collaboration between Irene Co of Indulgence by Irene, famous for her deliriously addicting Queso de Bola Cheesecake, and Chona Ayson of Homemade Treasures, who I hear makes some of the best ensaymadas and mamons in the metro with intriguing flavors like pistachio, guava and chili. 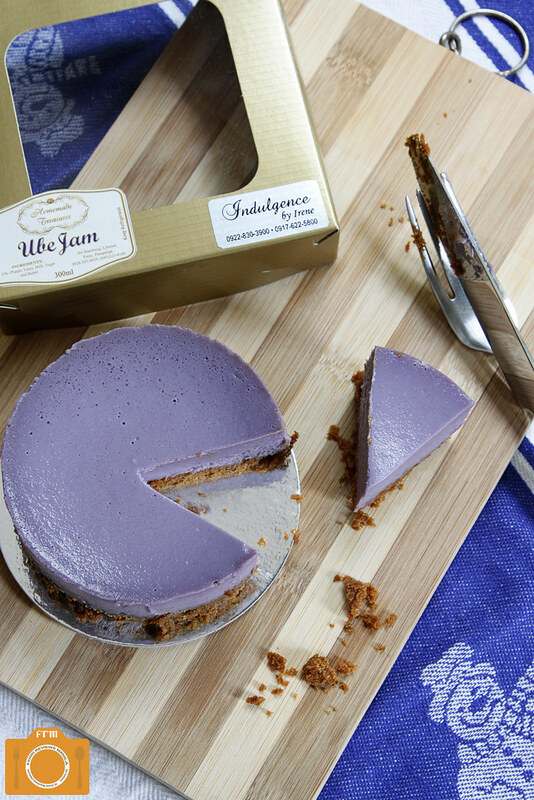 Well, apparently, she makes a pretty mean ube jam, too. So what do you get when you combine two talented home bakers? 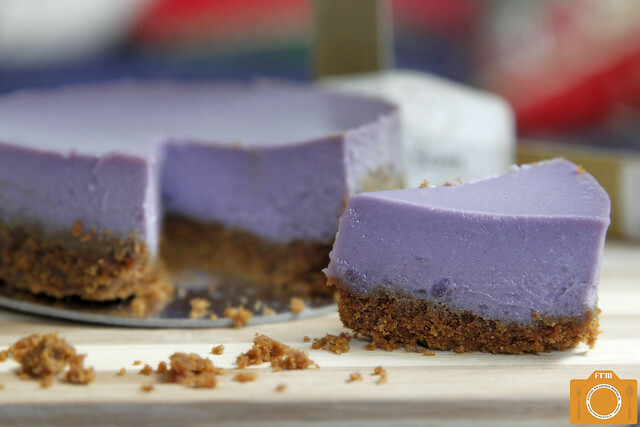 In this particular case, a cheesecake that will bring you purple dreams. 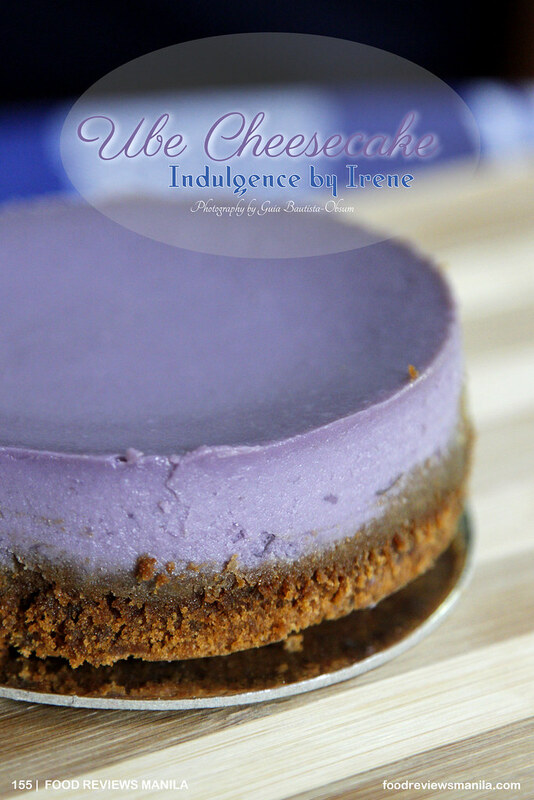 Irene's cream cheese base is impregnated this time with quite an accurate taste of ube. But really, her cheesecakes have never been anything less, so it shouldn't come as a surprise. Utterly creamy and velvety smooth, every bite is indeed an indulgence, punctuated by a thin crust of buttery graham. Of course, her Queso de Bola Cheesecake, Chocnut Cheesecake, and Tablea Cheesecake are still available for ordering.